It is my privilege to have led the National Governance Association for another year, under the direction of our board of trustees to whom I am deeply grateful. I am proud to do so because NGA’s charitable objective is to improve the educational welfare of pupils by promoting high standards and improving governance in state schools. I am proud to do so because we support and represent you, volunteering in the interests of children and young people of your school’s community. Most Saturdays during term time I am out and about in England at governors’ events, and I am always humbled by the commitment of those I meet. Thank you so very much for what you do. You are a formidable force for good; an important part of the civil fabric of our country. You are often underestimated but not by NGA. We have not always been successful in translating your concerns to the heart of the policy establishment but we persevere. If you were here last year you will have heard me making a fuss about the previous Secretary of State who refused invitations to address those who govern our schools: I was pleased our current Secretary of State, Damian Hinds, did come to this summer’s conference, and that subsequent conversations with the Department for Education - and its recent reorganisation - seem to confirm that governance has climbed up the priority list. At NGA we value: the voices of all; evidence, expertise, and our independence. As well as embracing the Nolan Principles of Public Life (Selflessness; integrity; objectivity; accountability; openness; honesty; leadership), we aim to be courageous, creative, visionary and light on our feet. We champion fairness and opportunity for all young people. Last year in this address I introduced Association of School and College leaders’ Ethical Leadership Commission, and this year I am pleased that we are welcoming here Carolyn Roberts, the wonderful chair of that Commission who has made this work happen. Carolyn will speak on the resulting framework for ethical leadership in education and how your governing boards and school leaders can be involved in putting the framework into practice. As important as the language is, these aren’t just fine words, they are meant to support a culture in which ethical decision making can flourish. So if you want to be one of the early adopted, join our pathfinders. And we know what your workload is like so this will be light touch, but ethics should be at the centre of what we and our schools do. Last year I spoke about school funding, including that for SEND which is truly reaching crisis proportions. We have continued with our funding the future campaign work, and made the case as often as we can, in any way we can about what governors and trustees across the county tell us: that for many of you balancing your school’ or trust’s budget is your biggest challenge. Just one in five respondents to the School Governance in 2018 survey said they would be able to manage the financial pressures they were under without adversely affecting the quality of education pupils receive. I have said that many times in the two months since we published the report, but it still sounds as shocking. The Chancellor did not produce the additional funding you told us you needed. So now the next few months, it's not about headlines, it's about making the case for CSR…. the Comprehensive Spending Review. But our values led us: we value the voices of you all; and also evidence, expertise, and our independence. We will absolutely make the intelligent case to the Government that our evidence base and our expertise allows us to. But to do that well we do need to continue to collect more stories from governing boards across the country: as well as filling in the forms in your pack, talk to your neighbouring schools, in your collaboratives and alliances, and spread the word. We cannot continue with the pantomime dialogue that we have at the moment: “we don’t have enough money to run our schools”; “oh yes you do”; “oh no we don’t”. We need to move this discussion on to what the funding constraints actually mean for pupils; while at the same time not letting up on making the very best use of the money we do have. Our case needs to be forensic, not just the headlines. But it also needs to come from the heart and speak to the emotions, and our sense of right and wrong. We continue to urge you to invite your MPs into your schools to meet the pupils and hear your stories direct. So please keep them coming and we do want to hear from all types of schools in all parts of the country. We know that the position with SEND funding is growing more and more difficult for all schools, but we want to make sure special schools are included in our collection of stories. One of the other messages you have sent us in almost every survey we have ever asked you to do, including in 2018, is that you don’t want more change imposed from on high: your schools needed time and the space to do what they knew they needed to do. However you will know we are expecting a new Ofsted framework in September, and one of the major changes will be greater emphasis on the curriculum. We shouldn’t need and we didn’t need Ofsted to tell us the curriculum and knowledge is central to education. Six years ago, Sir John Dunford, chair of Whole Education, gave the keynote address to our Annual Conference, entitled “whose curriculum is it anyway”. He urged governing boards to create a new narrative with our school leaders, to use the freedoms we all have to determine the offer to pupils, providing them with knowledge, skills and personal qualities. I hope those conversations have been happening this then – what could be more important. I look forward to hearing next from Professor Mick Waters on the governors’ role in promoting the best in learning and teaching. We know that is why you volunteer. We welcomed Damian Hinds re-thinking of school accountability, as he confirmed at our summer conference. He said to us: “Vital as accountability is, the current system that we have can lead to stress and anxiety for some teachers, leaders and governors - the fear of inspection, of a single bad results year, the fear of the school being made to convert to an academy. I want to recast accountability not as something to be feared, or a blame game - but rather analysing what’s not working and then fixing it, collaboratively.” This is an important development. I am pleased that Nick Brook, Deputy General Secretary of National Association of Headteachers, is joining us today to elaborate on this theme. So I will limit myself to reminding all and sundry, anyone who will listen, that there are many ways in which schools are held to account – not just by inspection and data targets. As I have written in blogs for some time now, governance is one of those dimensions of accountability, but a much overlooked one in the schools sector. If governance is working well, Ofsted should not tell you anything you didn’t already know and have ensured your school leaders already have a plan to improve. NGA argues for governing boards to take their rightful place at the top of that list. Although we are some way from that yet, I have some thoughts on how to make the case by ensuring governing boards use the full set of freedoms and responsibilities they have. You will no doubt have heard NGA speak on all of these issues before separately, but we need to make the case in the round for how they come together as a powerful lever for accountability. So first, when thinking about accountability, we should not just be looking upwards, but also outwards to our communities. 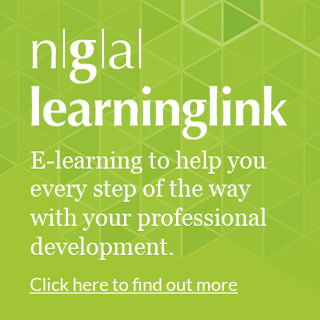 As committed NGA members, you will be aware of our ask for the 4th core function of governing boards to be recognised in the DfE’s Governance Handbook. That 4th core function of ensuring the voices of the school’s stakeholders are heard: the wider community, parents, pupils, staff, local employers – is a fundamental part of good governance and it is in danger of getting lost under the huge workload of compliance and financial constraints. However it was supported by the majority of respondents to the annual survey, although 17% of you opposed the suggestion. We understand this is in part due to an understandable concern on the level of work governing already brings and in part because of the concerns about some difficult relationships with parents, including dealing with complaints. We hope we may have some good news soon regarding the revised complaints guidance. But let’s lead the way on engaging stakeholders: we don’t need to wait to be told. Second, exercising the responsibilities of the employer of staff does not figure as much as they should in the language of school governance. Those responsibilities do not apply the exactly same way in all types of schools, for example in a multi academy trust the employer is the academy trust and the board of trustees will decide what to delegate to academy committees. However, after funding, almost all of the other major concerns of respondents to our survey touched on staffing: recruitment, retention, professional development, staff workload and welfare. There is much room for improvement in this work, whether it is better job descriptions; better appraisal, establishing effective senior staffing structures, and ensuring equal opportunities. I feel a 5th core function coming on; this one I promise wouldn’t add any more work for boards but it would emphasise this highly important function, shining a light on practice. But let’s lead the way on being exemplary employers: we don’t need to wait to be told. Two thirds of the respondents to our School Governance in 2018 survey recognised that teacher workload is a problem in their schools. On 5th November I signed a letter along with the Secretary of State and HMCI Amanda Spielman which sent a message to senior leaders to encourage them to reduce data requirements on teachers. Multiple surveys have shown that more than half of teachers’ time is spent on non-teaching tasks and that workload is one of the most common reasons for teachers leaving the profession. As employers there is much a governing board can do to ensure this changes. Forty three percent of our survey respondents had taken steps to reduce teacher workload, including changes to marking and feedback policies, restrictions on the times of day emails are sent to staff, redistributing responsibilities and increasing the support available to teachers from administrative staff and teaching assistants. Some respondents spoke about giving teachers more non-contact time or a reduction in class sizes – however many respondents told us that they were being forced to do the opposite as a result of funding pressures, underlining that squeezed budgets may be making it difficult for many schools to tackle teacher workload. Third, when designing, your school or trust’s vision and strategy, do not let yourself be limited by Ofsted’s framework or big data: as we set out in our Being Strategic guidance (a copy of which we you will find in your packs). Start from first principles, your values, your ethos, what are you trying to achieve for your pupils? : what should they leave your school knowing and being? We have been saying this for a number of years now, but it has proved very difficult to shift the culture from one of fear of Ofsted to one of confidence and courageous conversations. We need to measure what we value – intelligently and sometimes qualitatively – not the other way round. That is a mantra which is oft repeated, particularly by me! But the prevailing culture of the school sector has often stopped change in its tracks. This has been a case of that other mantra: culture eats strategy for breakfast. But I think at long last the time is now. There is a decided questioning of our over-reliance on data, some of which may be junk. So together with your leaders, let’s make that change to bottom up strategy development. You do not need to wait to be told what to do. So it is all very well for me to say this, sounds as though I – and the system - is expecting the world from you, especially when resources will constrain what you might ideally want to do. So what can NGA do to help? A year ago I said: “the system not only needs to value its volunteers more, it needs to value governance more. And it needs to understand governance better. And by the system, I absolutely don’t just mean governors, trustees and clerks - I mean everyone else too - leaders, MAT executives, the DfE officials. I wish I could say we had managed to transform that over the past twelve months. In fact if anything, quite the opposite. I hear nonsense being spoken in meetings, at events and even in writing, but not challenged, because no-one else in the room really knows any better. I find it extraordinary that in a system where knowledge is rightly being promoted, that high powered executives and policy makers in particular do not bother to avail themselves of basic governance knowledge. I also banged on about this when I was on the DfE’s working group reviewing the NPQs (the national professional qualifications), so perhaps the new generation programmes might be improved. But I am not holding my breath as it also depends who is developing and delivering them. Claiming to be a governance expert doesn’t make you one. I have reached the limit of my patience. I thought I had a reputation for plain speaking, but maybe I have just been too gentle, too deferntial. So today I will go as far as to say that governance literacy amongst senior leaders in the schools sector is fairly awful - is that tough enough? - I know that is a crass generalisation and there are some honourable exceptions who I hope know who they are. But altogether really a bit rubbish. That sounds patronising for which I apologise. School leaders have a tough job and most of them are former teachers: they may well be great at that all important development of teaching and learning. But understanding governance is fundamental to leading an institution well. So we do need to increase the expectations on governance literacy. When governance is not what it should be, it is not that all the problems reside with those who govern; it can be that executives do not understand the relative roles and responsibilities. Or in a few cases they do not want to accept the roles and act to thwart the governing board’s ability to do its job. Dysfunctional situations need solving behind closed doors, not in the glare of publicity: this is not talked about in the public domain. Trusting, respectful relationships are at the heart of good governance, but both the board and the executive needs to establish themselves as trustworthy. We are planning a campaign in 2019 which might help to transform this; it will stress the CPD value of middle leaders governing in another school – so often I am told by those who already volunteer that it is the best CPD they have had. I met a headteacher recently who said she would not have been equipped to take on that job if she had not has the experience of being a chair of a governing board as a deputy. We are seeking out role models to feature in our next Inspiring Governance video: if you know someone who fits the bill, please contact Kirstie Ebbs. I would like to thank all those MATs trustees and governance professionals who have wanted to improve and share their practice to benefit others: I do believe that could be called system leadership. The official system leadership for governance is not working - while there are some terrific National Leaders of Governance (a number of NGA’s own board of trustees and very many in this room! ), it cannot really be described as a system and it is certainly not one which is well integrated with the school improvement support. 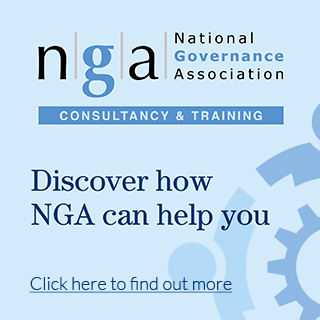 NGA was there at birth of the NLGs – we argued for the role and helped devise it, but much has changed in the intervening five years. And it is now ripe for review. We have to get governance right in all our schools and our trusts to ensure pupils get the education they need. First, recruiting and retaining governors and trustees. We know it can be a challenge. Inspiring Governance are here today so that any of you who have vacancies on your boards, please do go and have a conversation with them. But also can you help the wider school system: governance often happens behind closed doors. How often do you shout about your role? Today Inspiring Governance is launching their “Refer a Friend” campaign: what better place to ask than this full room of governors and trustees. Do you know anyone who might be a good governor - can you persuade them to register an interest? You may remember I have warned before about cronyism and recruiting in our own likeness, but this is not about popping them on your own board, but encouraging them to register with Inspiring Governance where they will be approached by another governing boards for an objective process. And we are continuing to highlight the importance of diversity with our Everyone On Board campaign which is making a difference. Second, clerks – the adviser to the governing board and absolutely key to the improvement of governance. We have an issue with the supply for clerks in many parts of the country and may that be in part because of pay? We will be reinvigorating our Clerking Matters campaign at our Clerks conference in February. We are pleased to be working in partnership with ICSA, the governance institute, who have a stand here today. ICSA accredit our Clerking Development programme, but we will strengthen our work with them in the 2019, to support governance professionals, but also to increase the governance knowledge in our sector. ICSA brings huge knowledge of other sectors and together we can debate which practices transfer well into the schools sector. Third, here we are at the end of Trustees Week, and of course academies as charities have trustees. Yet the academy sector fails to look to and learn from the charity sector. There are important governance principles and practice which are tried and tested. There are very good reasons why charity chief executives - like me - are not on the board of trustees which holds them to account. There are almost always limits to terms of office for trustees - this leads to timely succession planning. Academies need to embrace their charitable status, and with the humility of newcomers to the sector, take account of wisdom that has built up over years of experience. Fouth, I don’t mean to have focused just on the deficit in governance - NGA also celebrates outstanding governance and there are now only a few weeks left to enter for the Outstanding Governance awards 2019. Don’t be bashful. It really helps all of us to focus on the positive, the difference governors and trustees make to the lives of children. Before you have an opportunity to ask some questions, I want to pay tribute to Gillian who is leaving NGA next month. When I joined NGA almost nine years ago, Gillian had already been with NGA and one of NGA’s predecessors for five years. NGA was then the two of us with administrative support. Now we have thirty five members of staff, and a large range of resources and services, but this is absolutely not about growing an empire. This is about servant leadership: NGA is here for you, the members, to support your demanding role and ultimately for the pupils. For those of you who haven’t come across servant leadership: the servant-leader shares power, puts the needs of others first and helps people develop and perform as highly as possible. It is never about them. And I cannot think of anyone who epitomises this ideal of servant leadership more than Gillian. NGA would not be the thriving, expert organisation it is today if it were not for her quiet leadership, her selflessness, her extensive knowledge and her excellent judgement on which I have gratefully relied. This has been the most productive and supportive partnership of my working life, but we have also had some fun. On behalf of NGA and its members, I thank you for all those hours of enormous service to the cause. You will be missed. I can promise to members that our will continue to be truthful to Gillian’s legacy – and that takes me back to NGA’s values which percolate through all that we do. Your collective voices, your collective wisdom, your collective experience is being heard by us and we will keep trying to magnify it – please do keep us informed in any which way, including now with your questions and comments. Thank you for being part of this powerful movement for improvement in our children’s education and ultimately their future.